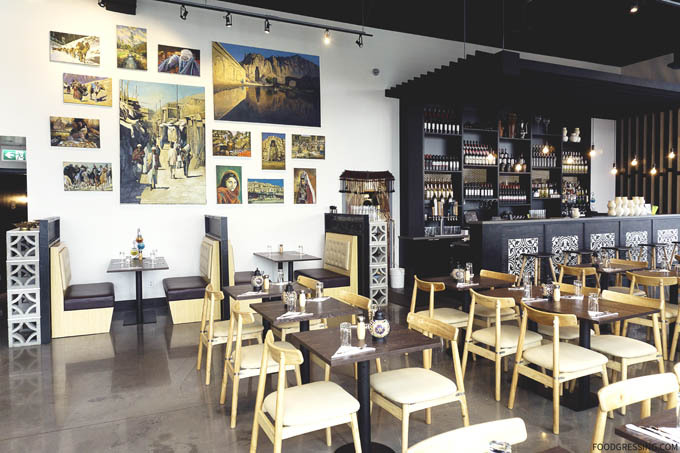 Newly opened in South Surrey is Afghan Kitchen, a family-owned and operated restaurant that specializes in modern Afghan cuisine. Helming the kitchen is the owner’s mother so every recipe is “mum’s recipe.” I was recently invited to Afghan Kitchen for a tasting. 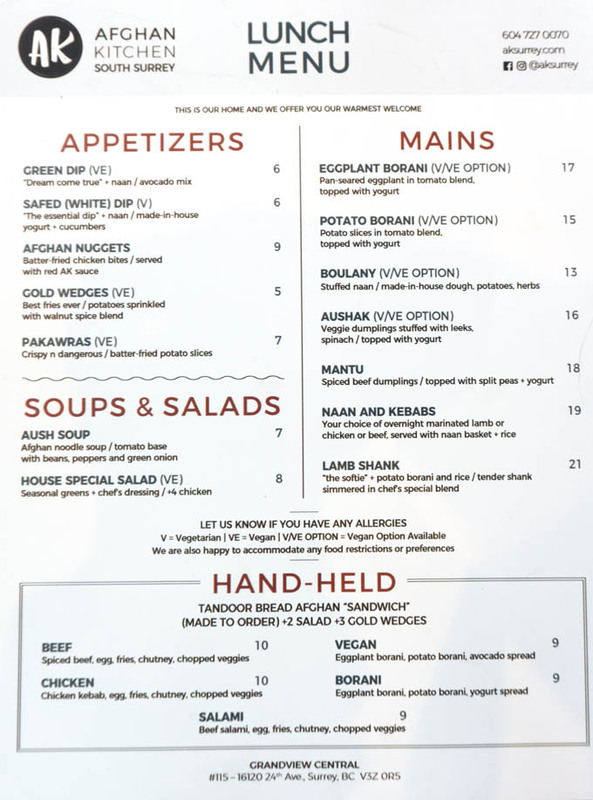 There are not many restaurants focused on Afghan food in Metro Vancouver so I was eager to try Afghan Kitchen’s menu. 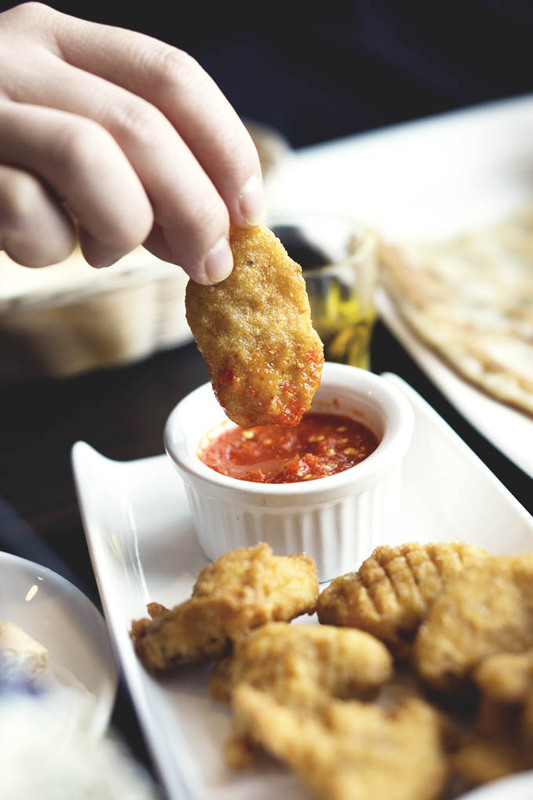 Here’s a look at what this new eatery in Surrey offers. 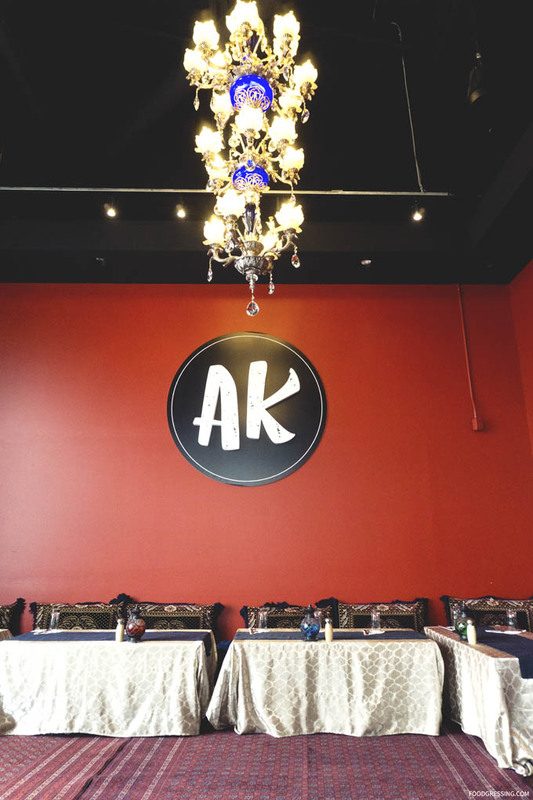 Afghan Kitchen’s boasts a well-appointed elegant dining area with a mix of two-person tables, booths and seating at the bar. The bright and airy space with tall ceilings features both traditional and contemporary decor. 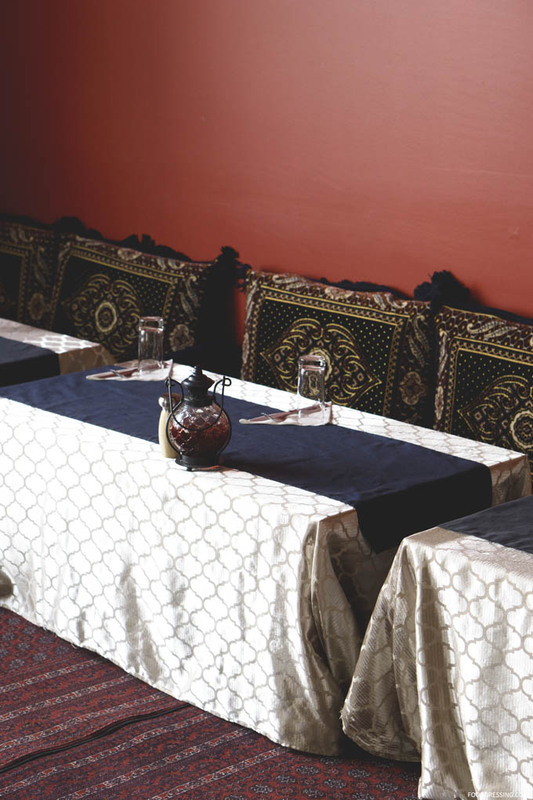 A special feature of the restaurant is their traditional Afghan seating area with rugs on the floor. Guests are welcome to dine here on a first come first serve basis and are asked to remove shoes before entering the area. The owner explained to me that Afghan’s menu stays closely authentic to Afghan cuisine. 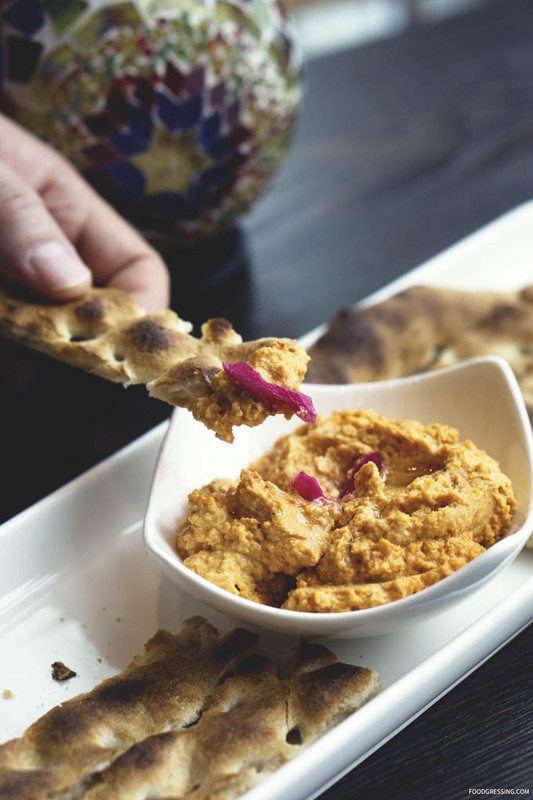 For appetizers, their naans and dips are made in-house. Mains include eggplant or potato borani (yogurt dip), boulany (stuffed naan), dumplings (veggie or spiced beef), kebabs and more. 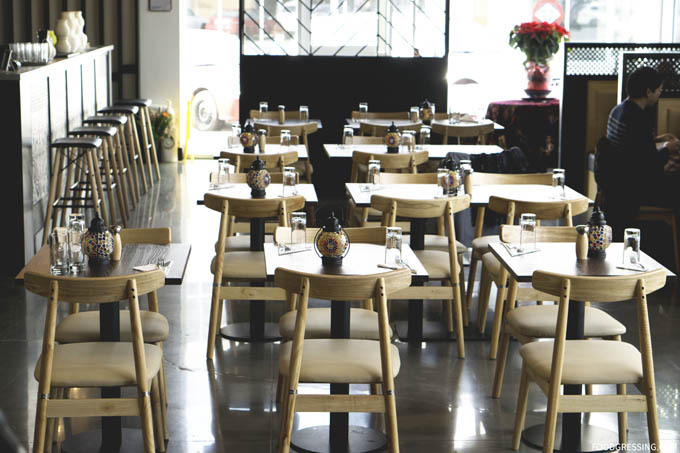 They are currently open for lunch and dinner and have plans for brunch service in the near future. 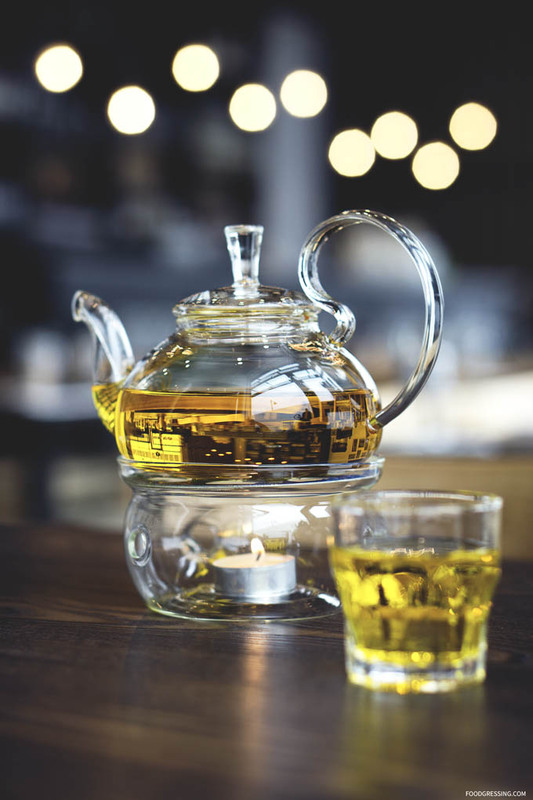 To start, we enjoyed the soothing, exotic, and floral flavours of a saffron tea featuring saffron imported from Afghanistan. 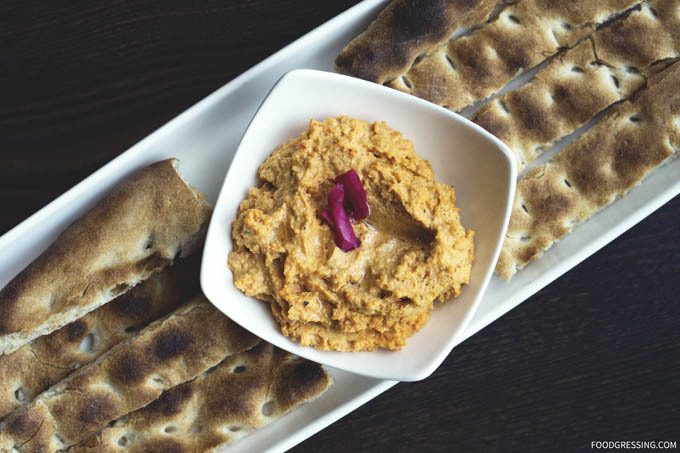 One of the starters we tried was a refreshing Tahini, Red Pepper and Chickpeas House-Made Dip with naan bread. I scooped up every last bit of the dip until the end. 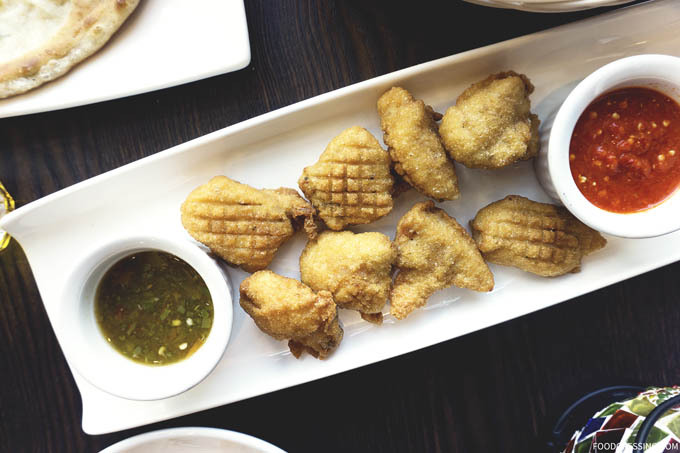 A popular appetizer at Afghan Kitchen are the Afghan Nuggets ($9) – batter-fried chicken bites served with Afghan Kitchen sauce. The nuggets were wonderfully golden and crispy on the outside while warm and tender on the inside. I found the batter to be nicely seasoned and quite delicious. 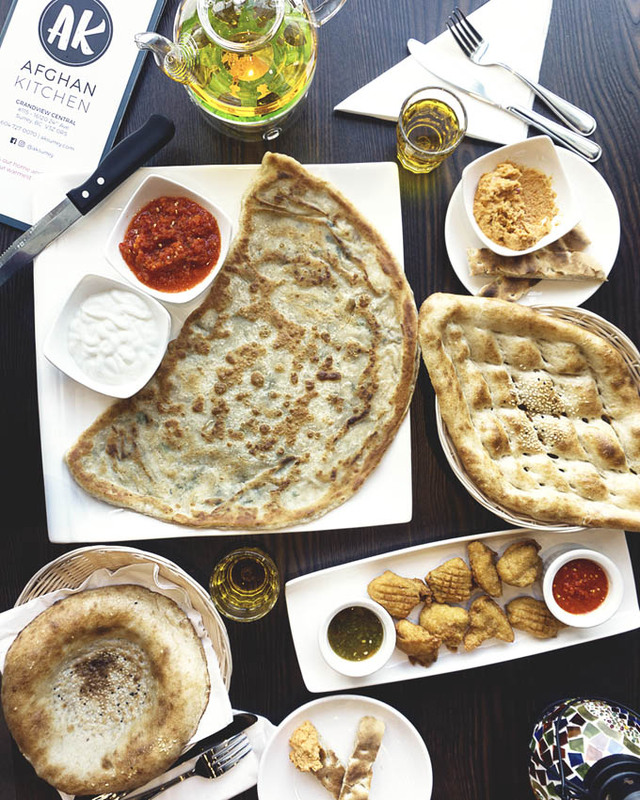 An interesting aspect of Afghan Kitchen is that offer different types of naan from different regions of Afghanistan. We tried the Uzbek bread (circular shaped) and traditional Afghan bread (oval shaped) which were both very crispy on the outside, light and fluffy. There was also the Boulany ($13), which is naan (made with in-house dough) stuffed with potatoes, herbs and served with chutneys. I’m a fan of stuffed naans though many naan-serving restaurants in Vancouver don’t do stuffed versions. 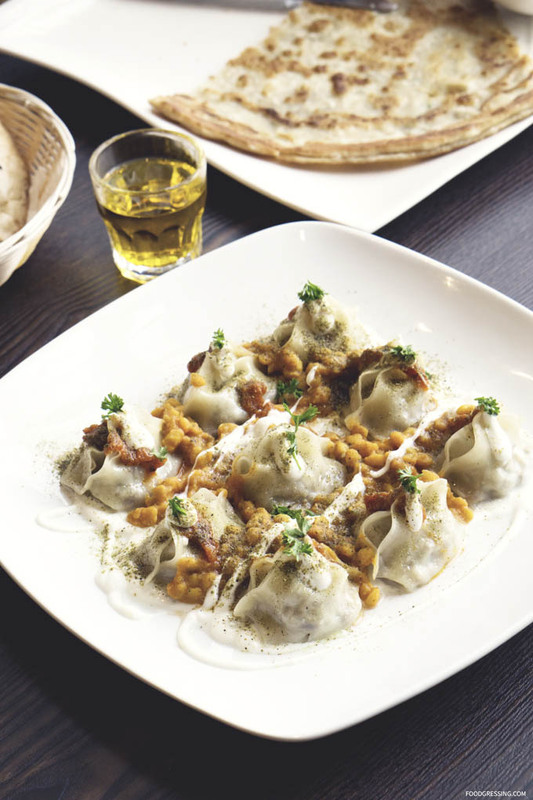 A featured mains is the Mantu ($18), a labour-intensive dish that is usually only prepared on special occasions in Afghan culture. These steamed dumplings have a spiced beef filling and are topped with split peas and yogurt. I quite enjoyed the delicate thin wraps, mildly spicy filling and the creamy split pea and yogurt accompaniments. For dessert, there was the home-style Mum’s Secret cake ($8) in a milk sauce with fresh milk and evaporated milk. 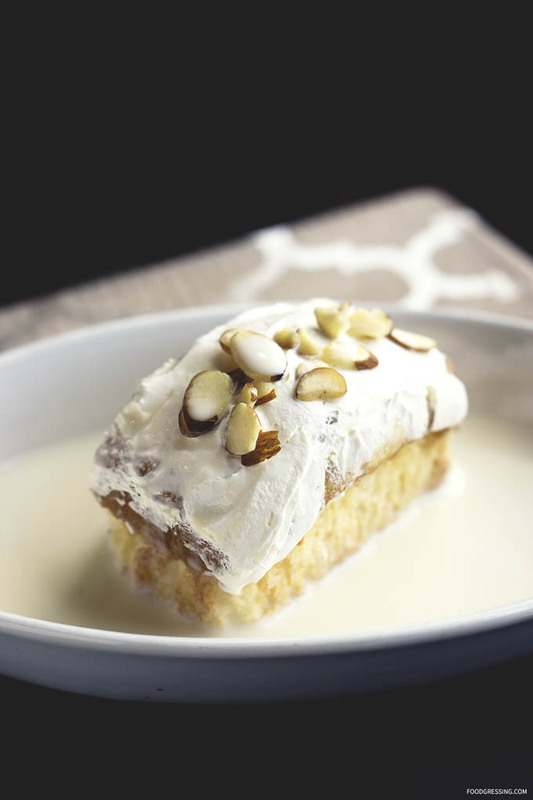 This was a comforting dessert with an ultra-moist and luscious cake, creamy milk sauce and topped with sliced almonds. 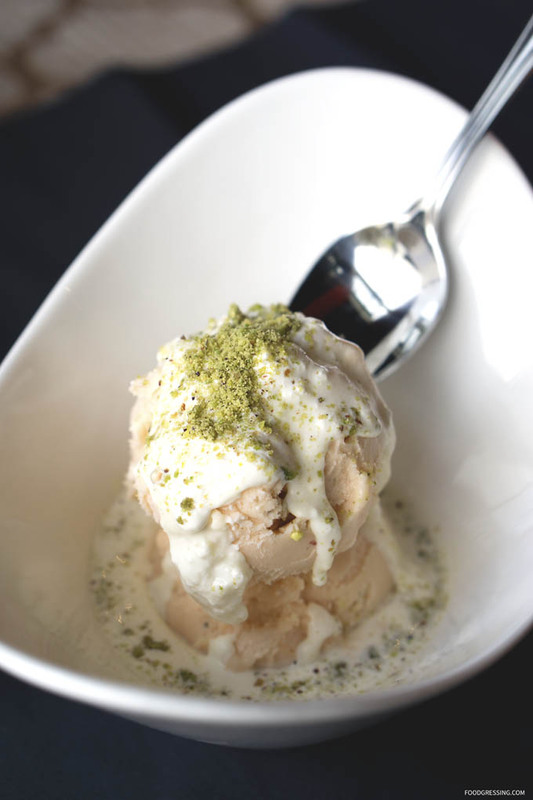 The other heavenly dessert we tried was the Sheer Yakh featuring small-batch rosewater ice cream custom-made by Vancouver’s Tangram Creamery and served with dense cream, pistachios and cardamom. An impressive and soothing ice cream with subtle, floral flavours. Highly recommended. I quite enjoyed the cultural experience of dining at Afghan Kitchen as Afghan cuisine is a type that I am not familiar with. 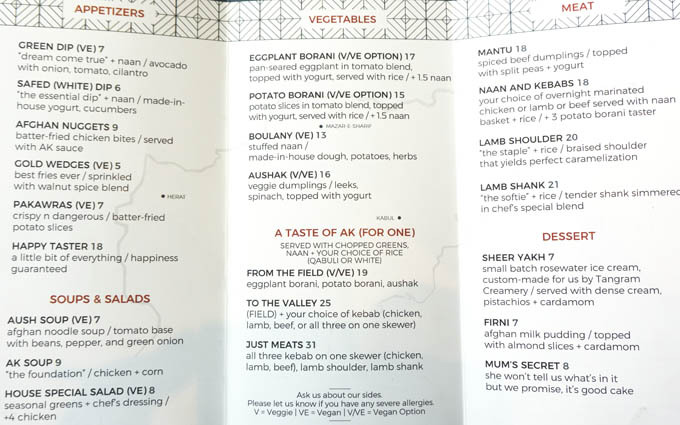 Many of the dishes are family-style but for a three course I would love to have again the Afghan Nuggets, Mantu and Sheer Yakh.